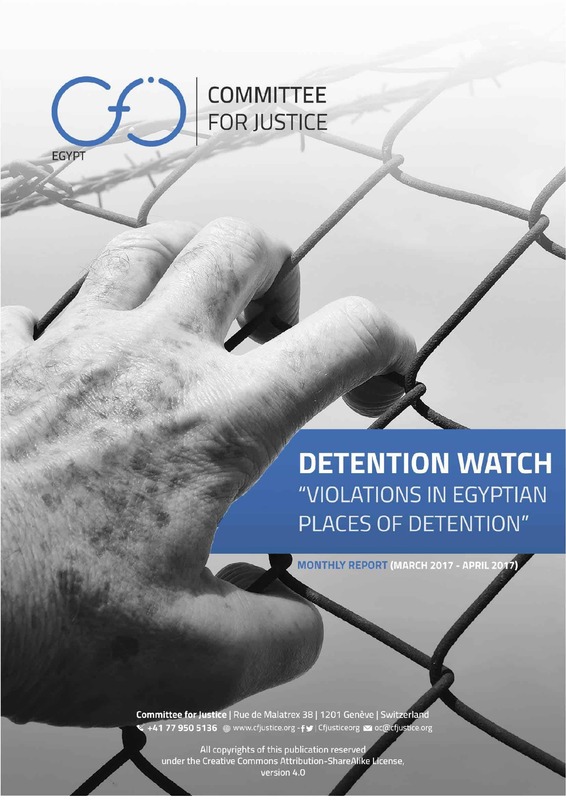 CFJ publishes its report on human rights violations against detainees in Egyptian detention centers – both formal and informal -as part of a project ‘Detention Watch’ covering the months of July and August 2018; in conjunction with statements by Egyptian President Abdel Fattah Al-Sisi confirming his keenness to resolve the case of the Italian student “Giulio Regine” death, and the commitment of the Egyptian authorities to full transparency with the Italian side. 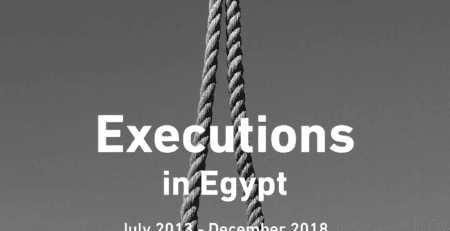 This should be the foundation for official attention to this report, which provides the optimal and holistic solution, and puts everyone within their responsibilities in light of the escalation of systematic enforced disappearances in Egypt, which was one of the reasons for the crisis of “Regini” to date. The team monitored 203 cases of violations in detention centers in July and 197 cases in August 2018. 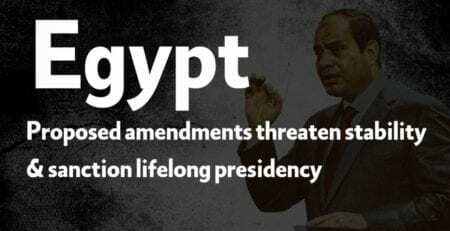 Enforced disappearance – which embroiled the Egyptian authorities in the case of the Italian student – was the most recorded violation during the two months. CFJ monitored 158 cases in July (77.8% of violations observed in the month) and 140 cases in August 2018 (71% of cases observed during the month). 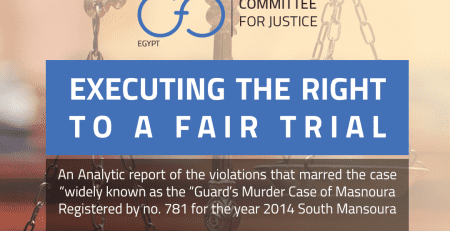 The report comes as an additional and important document few days after the release of an annual report of the UN Working Group on Enforced or Involuntary Disappearances, which documented the continuing systematic crime of enforced disappearance in Egypt against activists, rights defenders, and many citizens. 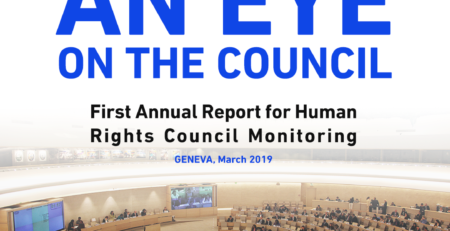 This comes in conjunction with the shrinkage of civil society space in Egypt and the targeting of human rights activists working to document the crime of enforced disappearance by the Egyptian security forces. Out of 203 violations monitored by CFJ in July, a total of 158 cases of enforced disappearance were observed (77.8% of monitored violations in July 2018), followed by arbitrary detention with 20 monitored cases (9.8%). Then, came medical negligence with 14 cases (6.8%), death in custody with 6 cases (2.9%) and torture with 5 cases (2.4%). Sharqia governorate had 69 reported enforced disappearance incidents (43.6% of total reported cases), followed by Alexandria governorate with 25 cases (15.8%). CFJ monitored 20 incidents of arbitrary detention and arrest, two of which were women, and another two were lawyers. 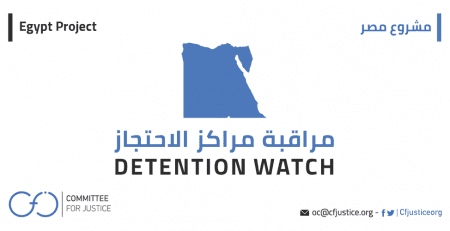 Sharqia governorate had the highest number of arbitrary arrests and detentions in July 2018 with 13 reported cases (65% of total recorded arbitrary detention cases). 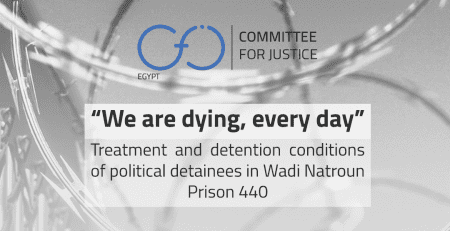 We also monitored four deaths in detention centers in July 2018 due to medical negligence, one death due to torture in the Beni Swaif Police Station and one death due to an unspecified reason in Fawh Police Station. All these incidents took place in police stations, in addition to 14 cases of medical negligence in detention centers across Egypt in the same month. CFJ team also monitored 5 cases of torture inside detention centers, four of which took place in the prison sector of the Egyptian ministry of interior, with three of them specifically taking place in Leman Tora prison. Our team also monitored the arbitrary arrest of 2 journalists (one of which was a female), two lawyers and three women. We also monitored the enforced disappearance of 10 students (4 of them still in high school), five lawyers, five women, and one parliament member. Enforced disappearance topped the list of violations recorded in August 2018 as well, with CFJ monitoring a total of 140 cases of detainees who were subjected to enforced disappearance (71% of monitored violations in August), followed by arbitrary detention with 38 reported incidents at 19.2% of total reported cases. Medical negligence was the third most frequent violation with ten incidents reported (5% of monitored violations). Followed by medical negligence that led to death with three reported cases, and finally torture with three reported incidents. CFJ team monitored 38 cases of arbitrary detention and arrest, 4 of which were women, 2 activists, two journalists, and two lawyers. 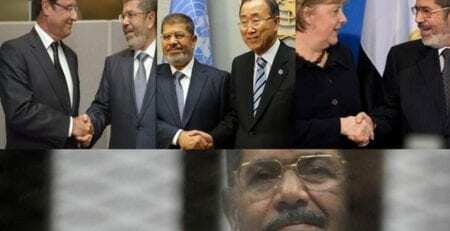 The team also monitored 6 cases of death in detention due to medical negligence, one of them happened in an unspecified prison in Menya, while the rest took place in various police stations across Egypt. 10 cases of medical negligence inside detention centers were monitored, alongside 3 cases of physical torture which all took place in prison. 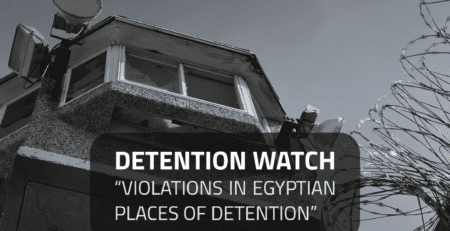 The detention places where violations took place are mostly in Cairo and Sharqia governorates. Cairo governorate’s high numbers came from Tora Prison Complex, Wadi Natroun 430 Prison and Qanater Women Prison. While Sharqia governorate’s number is due to the high number of violations taking place in police stations across Sharqia. Excluding cases in which the detention place is unknown due to the detainee being under enforced disappearance, the prison category was the largest category with 13 detainees (when it comes to some detention places where violations took place), followed by police stations with ten detainees. Also, two detainees suffered violations in state Security Premises and another two in Security Forces Camps. Looking at data gathered on 42 documented detainees since their arrest, CFJ found that 33 detainees out of the 42 had been subjected to enforced disappearance (78.5% of all verified detainees). Enforced disappearance periods ranged from 1 week to 1 month (39.3% of verified enforced disappearance cases), 1 to 3 months (27.2%), 3 to 6 months (18% of verified cases), less than a week (9%) and 2 cases of an enforced disappearance lasting for more than a year (at 6%). Whereas torture continued during the period of enforced disappearance, CFJ documented 3 cases of torture in July and August 2018. Two of which took place in the prison with one being against a female detainee in Qanater Women Prison, and the third, taking place in State Security Premises in Shubra El-Khema. CFJ documented 9 cases of medical negligence in detention places in July and August 2018. Tora Prison Complex had the highest number of recorded cases with 4 cases documented. Besides the five prisons, there were also Minya Al-Qamh Police Station and the Security Forces Camp in Zagizag where cases of medical negligence were documented. Our team documented 19 cases of arbitrary detention in July and August 2018, where all the 19 detainees are considered to have been subjected to arbitrary arrest and detention under category 2 (arrest and detention due to the practice of legitimate rights such as protesting and freedom of expression) and category 3 (severe violations to the principles of a fair trial) of the categories of the Working Group on Arbitrary Detention. Looking at all documented information of the 42 detainees since their arrest, we found that 13 out of 42 detainees were tortured following their arrest, while four detainees have yet to be allowed visits, and thus it is still unknown if they suffered from torture or not.